Engineered to meet the demands of law enforcement, military, and tactical operators, the A.T.A.C. 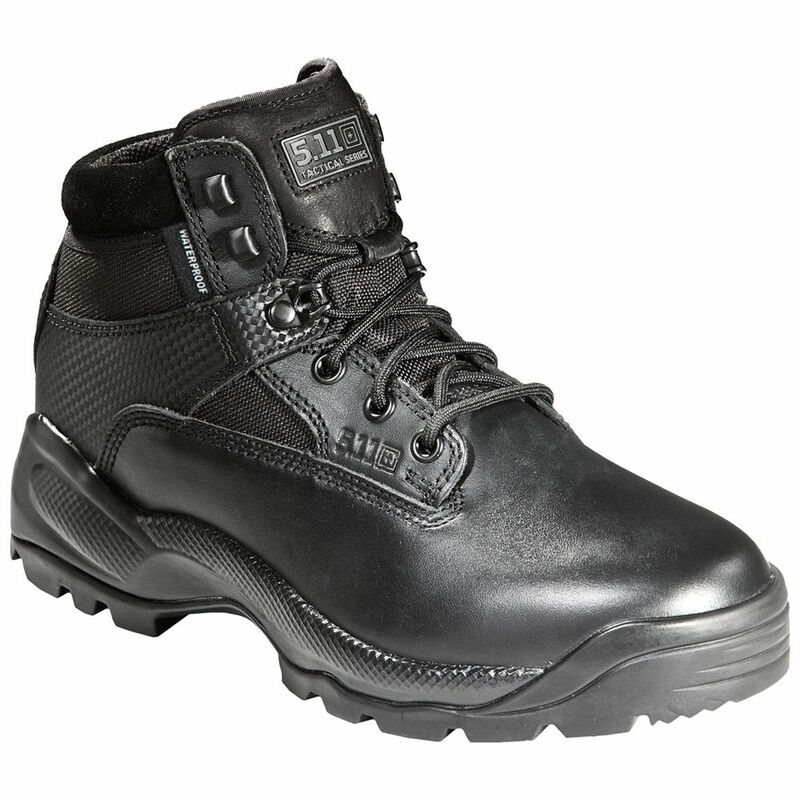 6" Boot delivers high performance and comfort in a professional profile. The rugged upper provides breathable stability, and the full-grain leather toe offers a sturdy, polished appearance. Featuring an injection-molded Phylon midsole, cushioned insole, and non-metallic shank, these boots are built to support you when the job heats up. Our Shock Mitigation System and an oil and slip resistant outsole offer enhanced speed and traction, while a moisture-wicking lining keeps you cool. Battle-tested excellence.